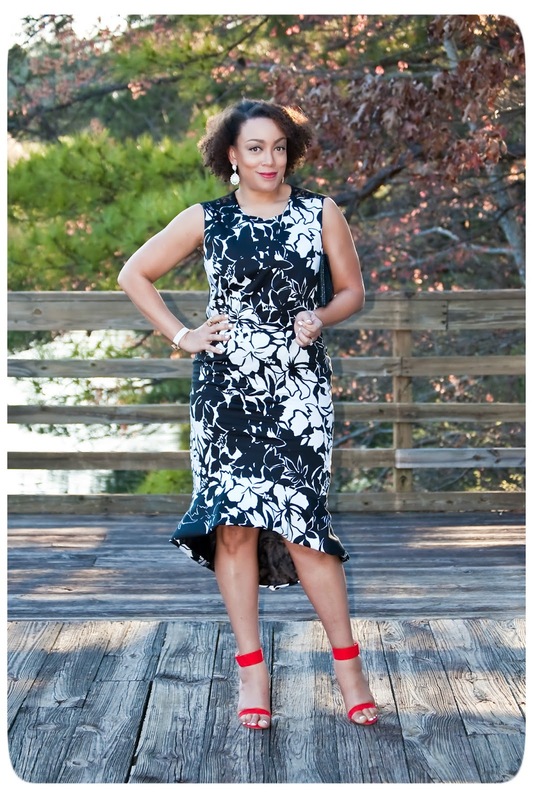 For March, the Mood Sewing Network challenge was to sew something “inspired” by the spring ready-to-wear collections with our monthly allowance. I chose a Clements Ribeiro that I saw on Net-A-Porter.com. I chose Clements Ribeiro because I wanted to highlight a lesser-known designer. And, I love this dress! 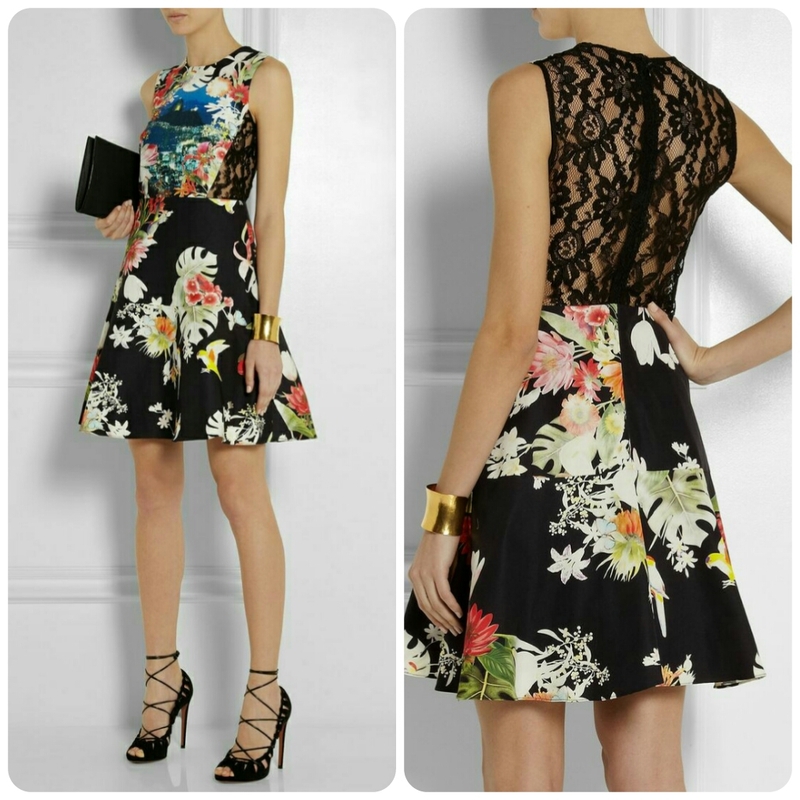 I was drawn to the fabulous floral print and the back lace panels. As you know, a fabulous (non-knit) print for spring is hard to find. But luckily, I found this stunning black and white cotton-lycra medium weight twill at Mood Fabrics.com. Along with this beautiful Anna Sui stretch floral lace. For my look, I used Simplicity 1873 for the bodice. 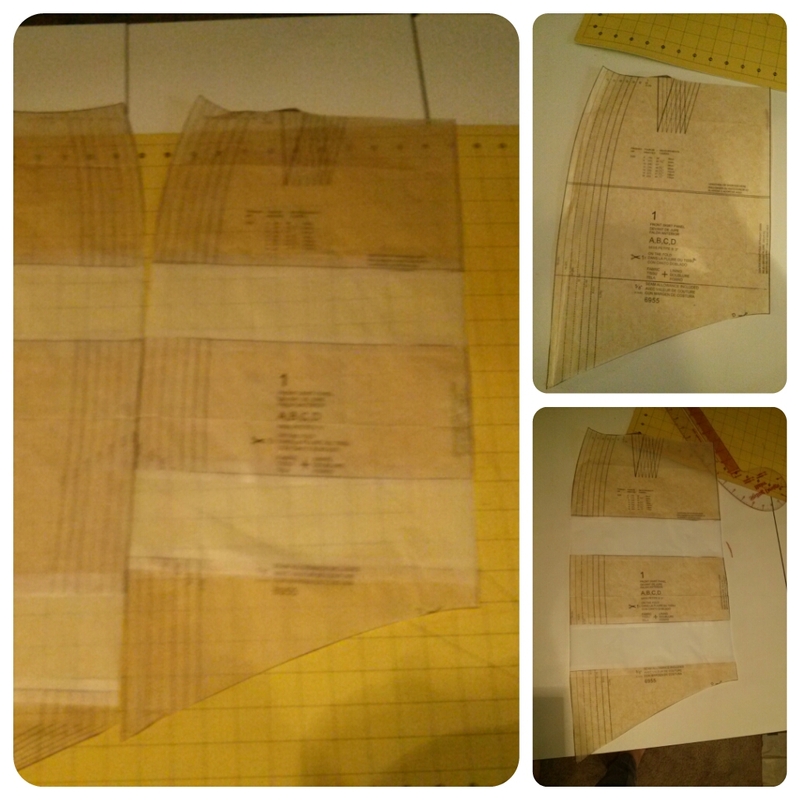 The front of the bodice is lined in a lingerie tricot fabric from my stash. The back is lace and (obviously) unlined. I did however interface the zipper area. The back neck and armholes are just turned over and hemmed with a 5/8″ allowance. For the skirt, I used Burda Style 6955, view D. Now this is a petite pattern. Any petite pattern can be “un-petited” with alterations. I added 3″ at the hip line and 3″ near the bottom, above the curves. The skirt is also fully lined. The pieces attached beautifully. The is fabric is incredible. It has a slight crisp hand and also a comfortable amount of stretch that is perfect for fitted dresses, skirts and pants.